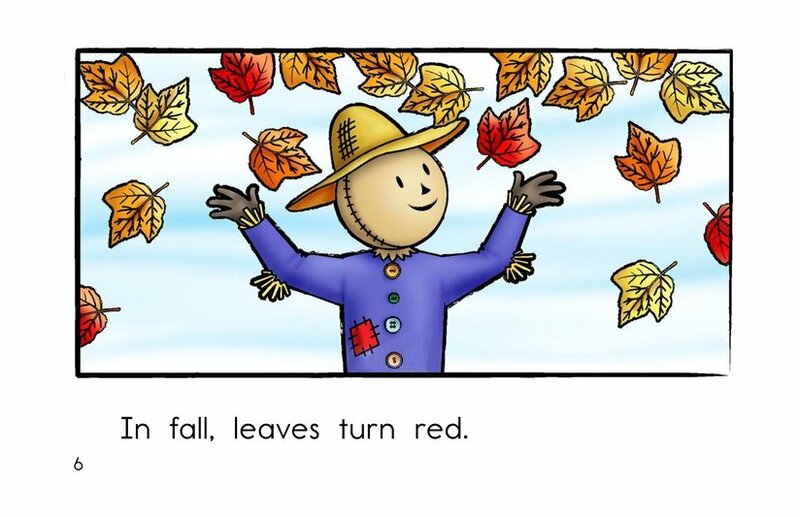 Fall describes a season of colorful transformations. 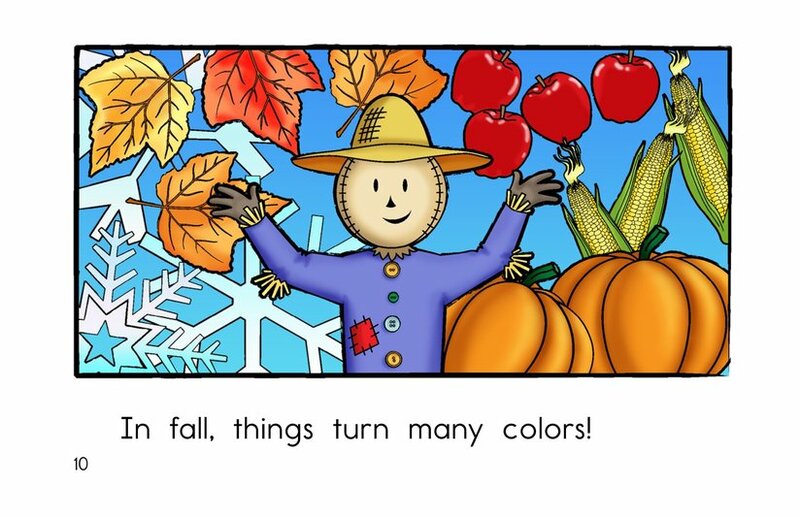 Pumpkins, apples, leaves, corn, the frosty ground, and even the moon change color as winter approaches. 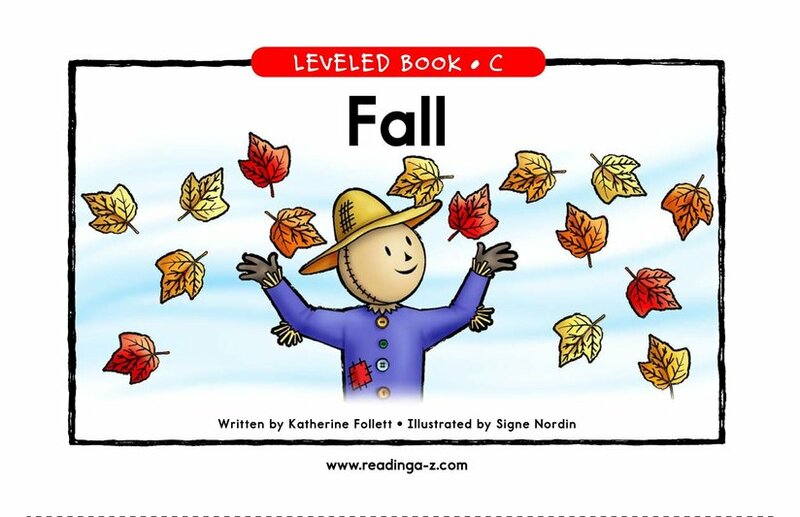 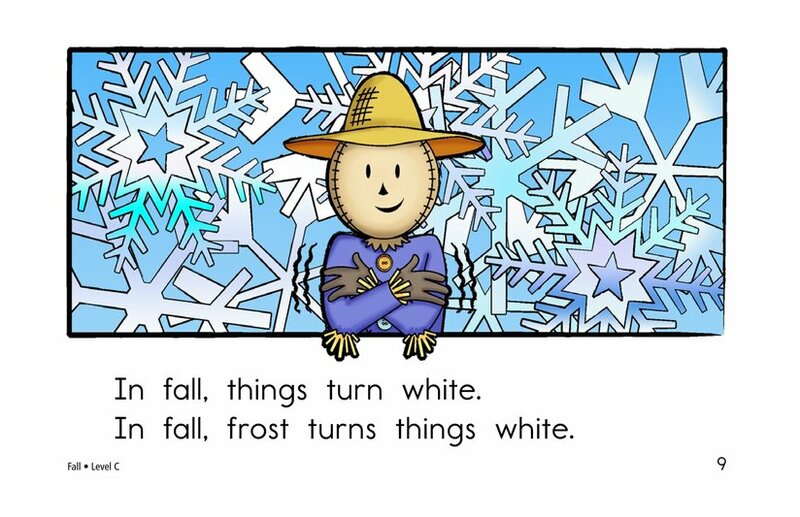 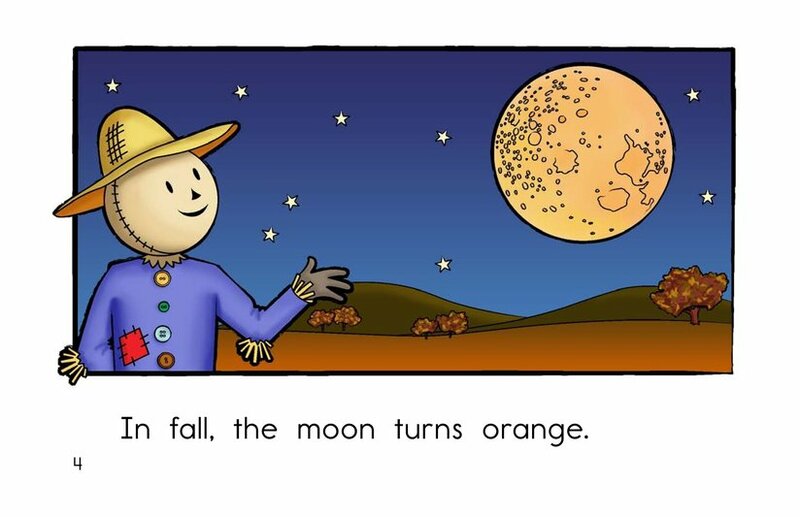 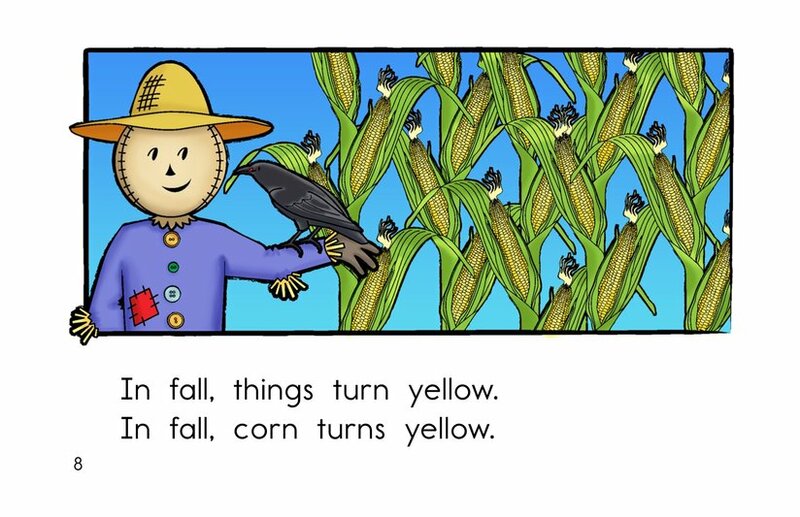 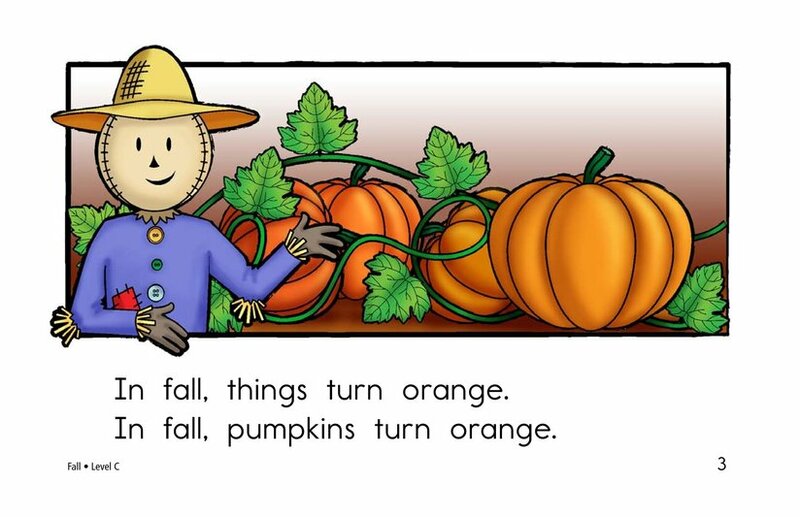 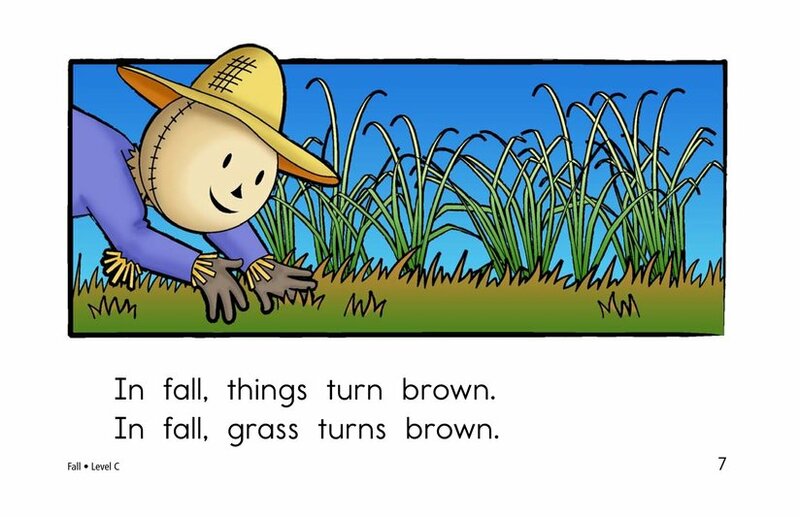 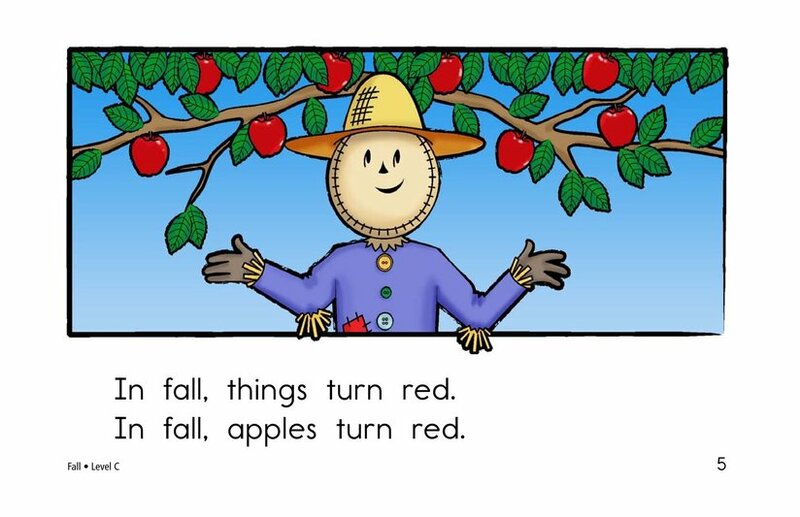 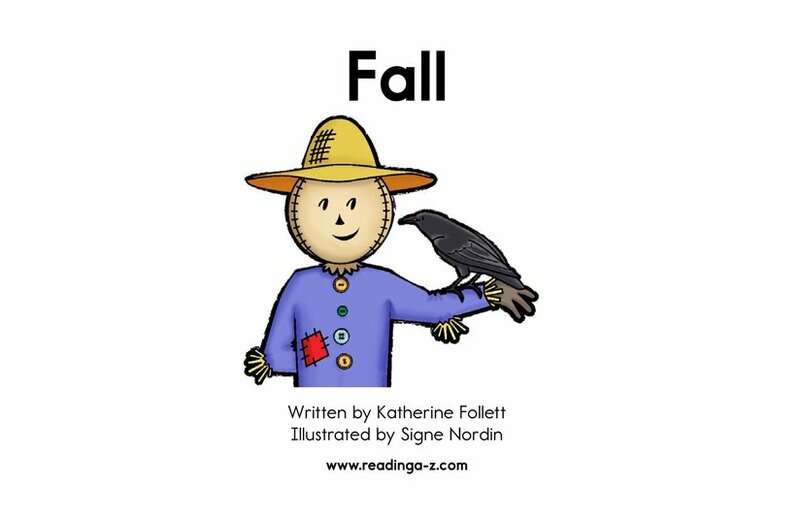 A delightful scarecrow introduces students to these color transformations in an easy-to-read format.